The SBCA is excited to welcome the following individuals who have been elected to serve on our Board of Directors. We appreciate these individuals commitment towards the SBCA and the satellite industry. 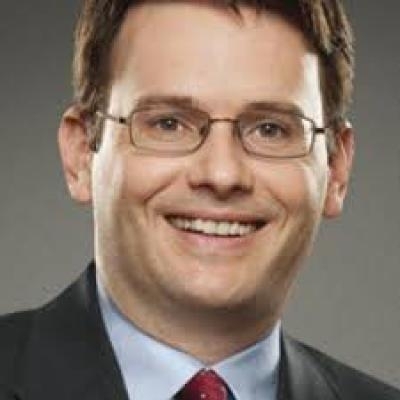 Jeffrey H. Blum is Senior Vice-President and Deputy General Counsel of DISH Network L.L.C., overseeing litigation and government affairs in Washington, DC. He has been with DISH, which has approximately 13.8 million TV subscribers, for over 10 years. Before coming to DISH, Jeff was a partner at the Los Angeles firm of Davis Wright Tremaine, where his practice focused on copyright, First Amendment and anti-piracy litigation. At Davis Wright Tremaine, Jeff co-represented a class of songwriters and music publishers in the Grokster P2P file sharing case, which was decided by the United States Supreme Court in favor of Jeff's clients. The Grokster decision established a new basis for secondary copyright liability, called "inducement liability". Jeff was a part-time lecturer at the University of Southern California, Annenberg School of Journalism from 2003-2005, where he taught "Media Law". He currently serves as Chairman of the Satellite Broadcasting and Communications Association (SBCA) and Co-Chairman of hte Broadband Internet Technical Advisory Group (BITAG). Jeff also serves on the boards of the Computer & Communications Industry Association (CCIA) and BUILD Metro DC. Andrew Reinsdorf is the senior vice president of Video, State Regulatory and Economic Policy for AT&T’s external affairs team. He develops and advocates for policies that foster a more open, competitive and innovative video marketplace that responds most effectively to consumer needs. Before AT&T acquired DIRECTV in 2015, Andrew lead the company’s Washington, D.C. office overseeing the federal, state and local legislative and regulatory agenda. Prior to joining the company 13 years ago, Andrew held senior government affairs positions with the National Association of Broadcasters. Andrew is the current vice chairman of the Satellite Broadcasting and Communications Association Board. He is also among the founding board members of the American Television Alliance, which is the advocacy association for the broader multi-channel industry. He is a board member of United Community Ministries, a nonprofit serving economically challenged families in Alexandria, Virginia. He has also been a volunteer reading mentor for nearly two decades with EveryBodyWins in Washington, D.C. public schools. Andrew has a bachelor’s degree in politics from Ithaca College. He lives in Alexandria, Virginia with his wife and two sons. Hossein Memarsadeghi is the vice president of Consumer Business Management for the North American Division at Hughes Network Systems, LLC (Hughes). In this capacity, he is responsible for ensuring the successful growth, operation, and P&L for HughesNet® broadband services, the largest satellite broadband network for consumers in the U.S. with over one million consumer and small business subscribers. Mr. Memarsadeghi joined Hughes in 1993 as a college intern and has since held a variety of engineering, launch management, program management, service delivery, and business management positions throughout his 23-year career at Hughes. His main focus in recent years has been launching broadband satellite services for consumer markets. 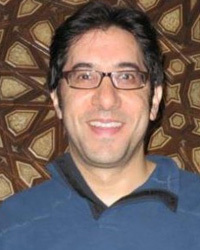 Mr. Memarsadeghi holds a Bachelor of Science degree in Physics from the University of Maryland, a Master of Science degree in Computer Science from Johns Hopkins University, and a Master of Business Administration degree from the University of Maryland. CEO for PerfectVision Manufacturing, Inc. and Perfect 10 Distribution since 2006. Bob previously held the role of CEO of Apex Digital LLC an HSP for DIRECTV From 1997-2000 and President of Crystal Clear Satellite from 2001-2006, which was a DIRECTV sales agent. Paul Fassbender is the Managing Director of Government Affairs at Asurion. Asurion provides portable electronics insurance and technology warranty support services to customers worldwide. In his capacity, he oversees government affairs as well as a portion of the compliance division. Prior to joining Asurion, he was an Assistant Commissioner for Tennessee Department of Economic and Community Development at the State of Tennessee as well as Chief Counsel to US Senator Bob Corker. He is a board member of Prevent Child Abuse Tennessee, an organization that works to prevent the abuse and neglect of children in Tennessee. Paul holds B.A. degrees in History and Communications from the University of Minnesota Duluth and a J.D. from Southern Illinois University. He is a licensed attorney and currently resides with his wife and three children in Nashville, Tennessee. 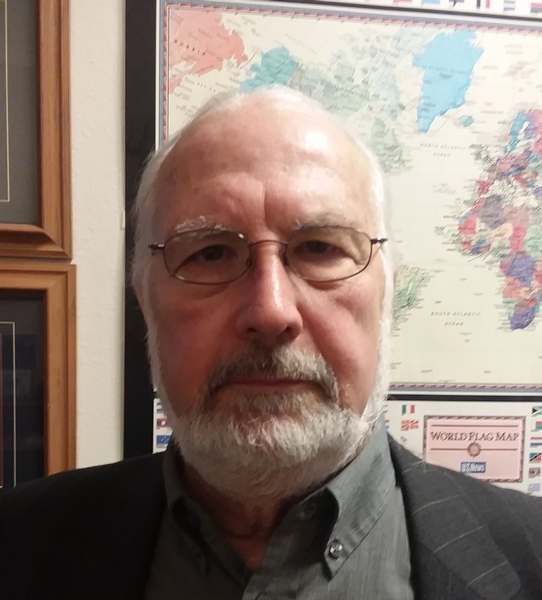 Mr. Friedman joined Northern Stamping Inc. in September, 1996. His father, Michael D. Friedman, was one of the original owners of NSI. Mr. Friedman assumed the role of President in October, 1997 and directs all aspects of the organization including sales, manufacturing, and finance. Following the sale of NSI in August 2000, he ran the company as a division of Hilite International Inc., before reacquiring the company in July, 2009 through Bear Diversified LLC, NSI’s current majority shareholder. Matthew also serves as General Counsel for the Company. Mr. Friedman holds a B.S. in Economics from the University of Pennsylvania, Wharton School of Business in 1990, and a J.D. from the University of Southern California, Gould School of Law in 1993. He began his career as an associate with Kahn, Yanowitz & Arnson Co., LPA., a Cleveland based law firm. He specialized in the areas of corporate law and business litigation. Lee McKinney is on the McKinney Capital Board of Directors after serving as President of the McKinney Capital former holding, Satellites Unlimited, Inc. (SUI). Prior to joining SUI, Lee worked for Enterprise Rent A Car. Lee received a degree in Marketing from UAB and attended the University of South Alabama, where he was a scholarship track athlete. He is currently a member of the Jaguar Athletic Fund. Lee’s greatest accomplishment is working in the family business and helping it grow from less than 10 employees to over 1000 today, in addition to helping others achieve success and happiness in life. He believes that it is important to be honest no matter what, to not forget where you came from, and to treat others as you want to be treated. His philosophies on life and business include to learn from your mistakes and have no regrets, and to take time to celebrate the wins. Lee takes time out of his schedule to support organizations including the University of South Alabama Athletic Department, Sigma Chi Fraternity, Birmingham Zoo, Birmingham Humane Society, Shelby County Humane Society, Speed City Track Club, Children’s Hospital, Tum Tum Tree Foundation and AMBUCS. In his spare time, Lee enjoys teaching Sunday school, traveling, running/exercising, fishing, sports card collecting, and spending time with his wife, daughters, and other family members. Dan is the President of Unitek Global Services, an end to end solutions provider in the Telecommunications Industry. Dan’s prior role was CEO of Direct Sat, which is the largest division of Unitek, and one of AT&T’s nationwide Home Service Providers. He joined Unitek in 2005 and has held several executive roles during his tenure. 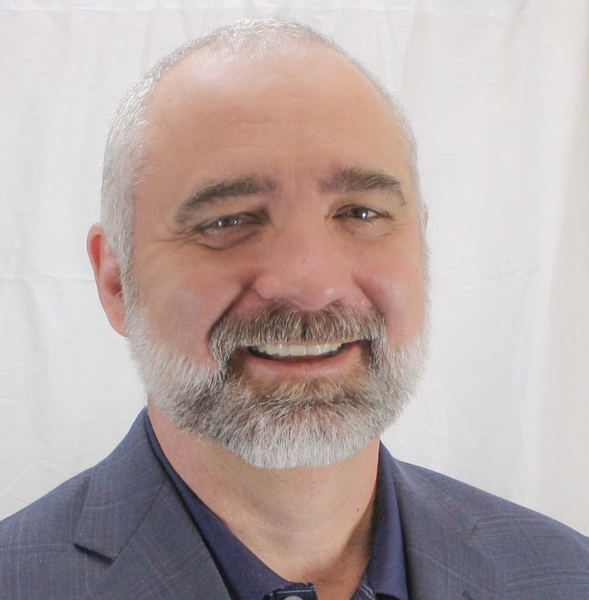 Overall, Dan has over 20 years of executive management experience in both public and private organizations. Dan holds a Bachelor in Finance and Business Management from Florida Atlantic University and a Master of Business Administration from Villanova University. Bill Teevens has worked in the satellite business for 22 years. His company, WIREFREE USA/Rapid Choice, provides an array of installation services: commercial, residential, MDU, L&I, security systems, sound systems, AT&T-DIRECTV, DISH, Hughes, and ViaSat. J.D. Degree from University of North Dakota. Bill holds dual citizenship for both the USA and Canada and works along side his business and personal partner, Sue Rutkowski. Bill has 3 children and 10 grandchildren. Al Hensley is Vice President of Sales for Vericom Global Solutions overseeing all sales for the US, Canada, and Latin America. Al has 30 plus years’ experience developing key account relationships in the satellite, broadband, and telecommunications industry. Vericom is one of the largest global manufacturers of cabling, data center and communication solutions; leveraging thousands of employees, multiple factories, and a distribution presence in 30 countries worldwide. Before his arrival at Vericom, Al spent 20 years of his career developing sales for the nations largest DIRECTV Master Agent, Metron North America.